Lawyer Raymundo Larraín Nesbitt explains what a Power of Attorney is, who needs it and how to get one. On buying property in Spain, your appointed solicitor will suggest you sign a power of attorney (POA) giving him power to act on your behalf. In this article I will explain briefly, strictly from a conveyancing point of view, the usefulness of signing a conveyance POA over to your lawyer. It is a deed witnessed by a Notary public whereby a grantor (principal) confers a mandate to a third person (agent) to act on his behalf. The principal is bound by the actions carried out by his agent. What types of POA are there? Broadly speaking, there are several. For this article’s sake, I will only focus on conveyancing POA. But there are many more used in litigation, to administrate the estate of mentally unsound individuals (legally incapacitated), inheritance matters, lasting power of attorney, corporate, investments etc. POA can be either specific or broad. An example of a specific POA can confer a mandate to apply for a NIE number on behalf of a client. An example of a broad POA is one which confers ample powers to administer the estate of someone. Apply for a NIE number. Open a Spanish bank account. Agree terms and sale´s price. Buy a property (signing of deeds before a Notary public). Completion and filing of tax forms. Arranging registration of deeds at the Land Registry. Setting up utilities on your behalf (water, electricity, landline). Arranging direct debits on your behalf i.e. Community of Owners. Where can a POA be Arranged? In Spain. 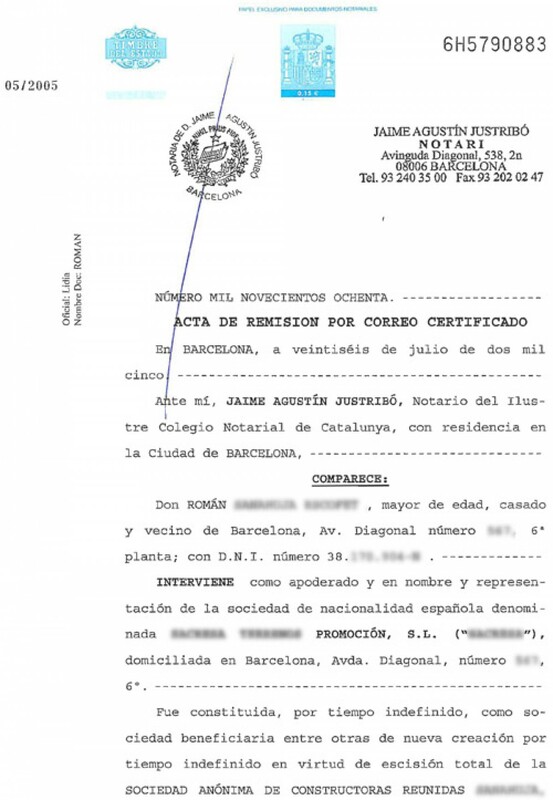 You can grant a POA before a Spanish Notary public whilst you are in Spain. This is usually the fastest and cheapest option. Abroad, for example in England. Notwithstanding the above, at times buyers cannot make travelling arrangements and it may be easier for them to organize the signing of a POA in their home country. 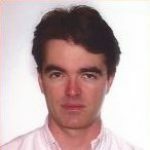 Your Spanish lawyer can draft a POA and e-mail it to you. You can then have it witnessed by a UK Notary. 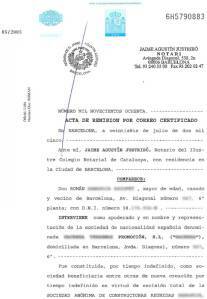 A POA granted in the UK or in the ROI requires affixed the Apostille seal of the The Hague Convention for it to be executable in Spain. We can recommend you UK-based notaries which are familiar with the whole procedure and who can fast-track it within the law. Powers of attorney can be revoked at any given moment if needed be. Whilst powers of attorney are most useful in practice, it is important to note that you should fully understand the faculties you are empowering someone with and feel confident on their performance. In our law firm, we draft POA in double column, English & Spanish, for your peace of mind so that you know exactly what powers you are signing over to one of our lawyers. To close, I strongly advise not to give POA to non-family members who are neither registered nor qualified to practice law; specifically, broad powers on money matters. “Power tends to corrupt and absolute power corrupts absolutely.” – Lord Acton. 19th century aristocratic British politician, historian and writer. He was a libertarian that considered political liberty the essential condition. Famous for this very quote. Article also published at Larraín Nesbitt Lawyers: Power of Attorney Explained. Our law firm charges €175 plus VAT for a POA service. This fee is deductible on hiring our conveyance service. NIE Number (Tax Identification Number). Fiscal Representation (Non-Resident Income Tax). What is the difference between POA and Apud Acta? It’s a type of POA you give in a law court before a judicial secretary. It acts on default of a POA witnessed by a Notary Public. It is for litigation purposes.